What Is a House Addendum? Sometimes, when you want to buy or sell a home, you need protections that a basic purchase agreement doesn't cover. An addendum, or contingency, provides that protection. An addendum to a home sale contract is anything extra that the buyer or seller includes beyond the common language in a basic purchase agreement. While some people interchangeably use amendment and addendum in real estate, they have slightly different meanings. You can add either to your sales contract as contingencies. However, you include addenda in the original contract. If buyers and sellers agree to change the contract once certain things come to light, they can add amendments to the original contract. Both buyers and sellers must agree to the amendments before they are final. Buyers often include a few important addenda when making offers to purchase a property. One is a contingency for loan financing. Typically, you don't get final approval on a home loan until your contract is in place. This addendum lets you out of the contract anyway if you can't pay.) When you buy a home, your real estate agent will probably recommend a home inspection addendum as well. 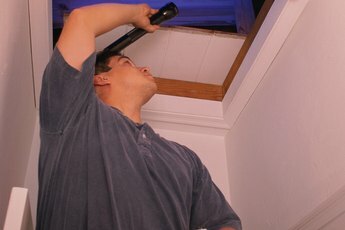 This allows you an "out" if your inspector points out major issues with the home. Additionally, if you have a home for sale, you could include a contingency that your agreement to purchase is contingent on your home selling by a certain date. You can also use an addendum to a purchase agreement to spend less on the home. For example, many buyers ask sellers to cover part of their closing costs. Asking the seller to cover one year's cost for a home warranty is another addendum many buyers use. This contingency can help new homeowners pay for repairs. Buyers can get creative when presenting a purchase contract, thinking that a seller won't hassle over small things in agreeing to a home sale. Some buyers ask that certain personal items stay with the home that aren't commonly included. Refrigerators, dishwashers, washers/dryers and other appliances are sometimes up for grabs. Some buyers ask for things that work well in the house in question, like custom curtains or backyard play equipment. As a buyer, be careful that you don't get too crafty or go overboard with contingencies. Doing so can risk alienating the seller to the point that he refuses your offer. Some sellers can get offended and emotional. It's important for you and your agent to word the addenda properly. 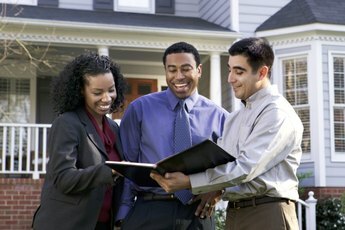 Buyers must also consider their local housing markets before making these requests. In general, the stronger your position as the buyer, the more room you have to negotiate addenda. If a seller is desperate to make a sale, he won't put up as much of a fuss when you ask for his appliances or a few furniture items. However, if several potential buyers make offers and yours asks for too much, the seller may toss your offer aside. Keep your requests reasonable; remember why you want the home in the first place. 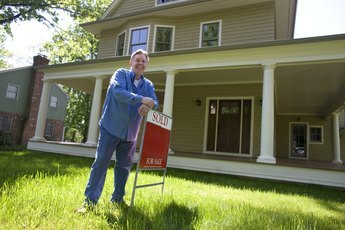 As a buyer, you may encounter seller addenda when attempting to buy a foreclosed property that a bank owns. Banks typically sell these properties with an "as-is" addendum, which states that the buyer must accept the property in its present condition. In this case, you are required to sign a waiver of seller disclosure and agree that the seller won't cover any repair issues that you discover during your home inspection. These risks are the tradeoff for usually getting a better purchase price on foreclosed properties. Colony Title Associates: Addendum vs. Amendment: What’s The Difference?